Aloha from the Curriculum Research & Development Group and the University Laboratory School. We are pleased to present our 2006 Year in Review. In the pages that follow we highlight accomplishments of our dedicated researchers, teachers, evaluators, and support staff as well as events that made 2006 a remarkable year. 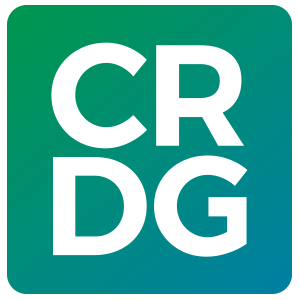 In the spring, CRDG Director Donald Young was asked to step into the leadership role of interim dean for the College of Education, and Associate Director Kathleen Berg became acting director of CRDG. In the midst of this transition, on the first day of our annual CRDG Summer Programs, a spectacular fire engulfed the University Elementary School building, one of the oldest buildings on our campus and home to several Laboratory School departments as well as offices for other college units. Fire recovery claimed much of our energy for the rest of the year, but Summer Programs continued, as did the research, development, program evaluation, publication, dissemination, and professional development activities of CRDG. The Laboratory School started on time in August, and by December portable replacement classrooms and offices were on site (full story on page 24). It was a remarkable year. As devastating as the fire and its aftermath were, they were also a revelation. CRDG and the Laboratory School have always been a part of the local community, working in partnerships with the state Department of Education, public and private schools, other colleges and departments in the university, foundations and funding agencies, educational and governmental entities, and individuals throughout Hawai‘i. We have always felt connected to our community. What the fire revealed in its aftermath was how connected our community felt to us. The immediate outpouring of sympathy and support and the ongoing offers of assistance and expressions of appreciation for our work have shown how much the community feels a part of us. Looking back over the history of CRDG and the Laboratory School, we see deep roots going back a hundred years. Over time we have woven connections throughout the community with our graduates, outreach and in-service programs, curriculum materials, research and program evaluation, and professional service. Throughout the descriptions of our work that follow, you will see names of the many partners who work with us and provide support to us. They are from our local community as well the larger national and international community. This Year in Review is a celebration of our many community partners who share our mission to constantly improve education.